Ever wonder what it would be like to make a change from the job you are now doing, and try your hand working at a nonprofit organization? Cisco Leadership Fellows get that chance, through Cisco's Worldwide Leadership Fellows program. The program provides opportunities for select senior-level employees to share their skills with nonprofit organizations-while building valuable leadership experience. A number of innovative Cisco employees have taken the initiative to use their knowledge and expertise to help nonprofit organizations in communities all over the world. "Stepping up to new challenges is part of our corporate culture," said Barbara Gray Jones, Program Manager, Worldwide Leadership Development. "And when the Fellows return to Cisco, they bring with them a whole new perspective." The Fellows program is a central component of the company's Community Leadership Development Initiative. The Cisco Leadership Fellows Initiative, created in 2004, develops the company's next generation of leaders, with community engagement opportunities matched to an individual's skills. As Leadership Fellows, Cisco senior managers, directors and VPs take on strategic projects critical to the sustainability and long-term success of the company's nonprofit partners. Whether for local or global nonprofit organizations, Fellows use their experience and resourcefulness, on a full-time basis, to create programs that demonstrate the value of Internet technology adoption and business innovation in a wide variety of environments. As part of the Fellowship Program, goals include development in adaptability; collaborative/cross functional decision-making; the ability to influence others at all levels; and to formulate and implement innovative business strategies. 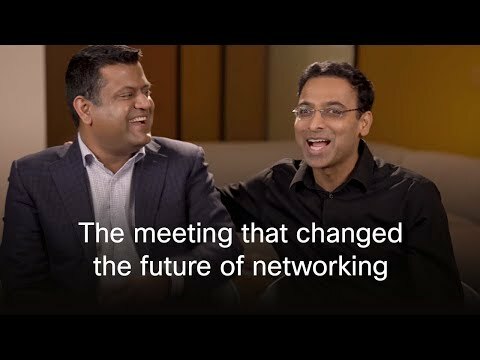 One of the many benefits is that Cisco's leaders integrate an awareness of community issues into their thinking. "The Leadership Fellowship program is half development and half giving back, and sharing our talent and technology with the community," Jones continued. "We are offering the expertise of our most valuable asset-our employees-in ways that benefit the community," said Jones. "It is not just altruistic, because it also serves as a valuable leadership development experience for our employees." For Cisco's Molly Tschang, becoming a Cisco Leadership Fellow was not exactly in her sightline. For most of Tschang's Cisco career as director of Business Development Integration, she was involved with integrating more than 50 companies acquired by Cisco, working to ensure the company's culture endured through rapid change. But a trip to Africa transformed her. "When I got involved with Save the Children (STC), my first insight was that nonprofits can be long on heart and mission, but often short on the business skills," Tschang explained. She started thinking about ways they could enhance fund raising as part of a STC delegation to Ethiopia and Uganda to empower women and girls there. "I believe fund raising makes more impact if you let people know what their donations will achieve," she said. "For example, what does $20, $500, or $15,000 buy? When people realize what the dollar amounts can accomplish, donations start to roll in." The delegation raised money to build schools and provide clean water supplies. "I saw firsthand that people were lacking basic needs-they had no shelter, no food," said Tschang. She decided to explore other ways to leverage her background and skills, create impact, and make a meaningful difference. Upon her return from Africa, the Cisco Leadership Fellowship opportunity fell into place. "I learned that Dipak Basu, then executive director of NetHope, was finishing his term as a Cisco Leadership Fellow, and the organization needed a new executive director." NetHope is an information technology consortium of 18 of the international community's leading non-governmental organizations (NGOs). Through member collaboration and by facilitating public benefit partnerships with major technology companies, NetHope enables members to expand their communications infrastructure and increase the potential of internet-based applications as they serve tens of millions of beneficiaries in 100+ developing countries worldwide. As executive director, Tschang helped NetHope continue to strengthen the cooperative relationship between the consortium members, focusing on business planning and operational sustainability. "The number one need was to help them focus," she said. "I guided them in defining who they are, their strategy and bringing discipline to the process," Tschang said. A chemical engineer by training, Tschang admits to being a thinker, a process person, and brutally practical. "But there is an art to bringing people together and achieving results, especially when you realize that for many people, this is completely voluntary work." Ed Granger-Happ, Chairman of NetHope and Chief Technology Officer of Save the Children, noted that Tschang was instrumental in establishing a clear vision and mission for NetHope. "She is a tornado of energy and a superb example of translating strategy into operations. The fact that NetHope activities increased while remaining under budget was evidence of this," he noted. "Her leadership left people more charged up about the organization-and she was decisive where she needed to be." Granger-Happ believes Tschang has the potential of being a CEO of a sizable division or company within the next few years. "If not sooner," he added. Molly Tschang returned to Cisco Systems in fall 2006, after completing her Cisco Leadership Fellow term. Her work as a Fellow translates well to her new role as Director of International Programs, Internet Business Solutions Group. "I have a compelling opportunity to work at the intersection of private, public, and nonprofit organizations, and it is ideal for me," she said. "I have learned that good intentions only go part way," said Tschang. "Often what you see is a lot of 'photo-op' work-companies that show up for the photo and publicity of working with NGOs , yet lack the follow through required to produce successful results, so the impact isn't there," she said. "Cisco definitely makes an impact, and I know we can do even more." Terry Timm Moos is a freelance journalist located in Seattle, WA.